Do you want to stay up-to-date with the International Photo Festival Leiden? Then you can subscribe to our newsletter. Your will receive a compilation of our news articles 3-4 times a year. 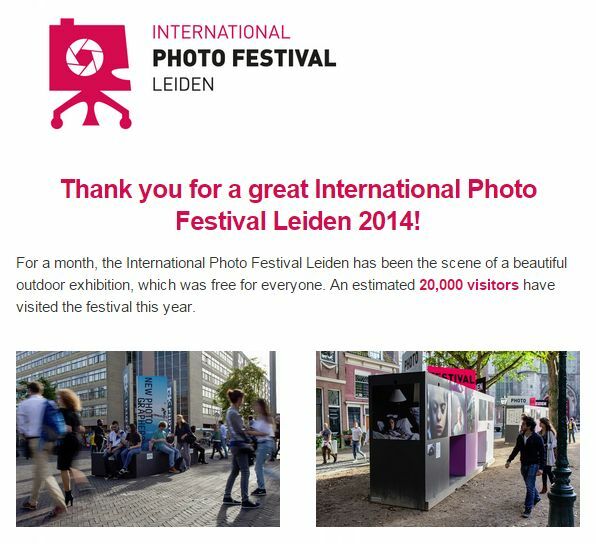 November 2014: Thank you for a great International Photo Festival Leiden 2014!